Advances in attacks on network security over the last few years have led to many high-profile compromises of the enterprise networks and breaches of data security. A new attack is threatening to expand potential for attackers to compromise enterprise servers and the critical data on them. 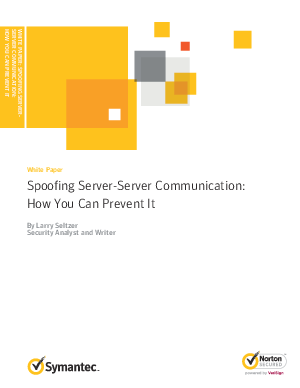 Read on to learn more about how you can prevent spoofing server to server.